Be aware of some upcoming changes on Metro: Three Orange Line stations will be closed in Virginia this weekend, and on Monday, trains will run at Saturday intervals. The Vienna, Dunn Loring and West Falls Church stations will be closed this weekend, Metro said. 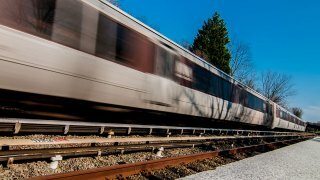 Silver Line trains will replace Orange Line service this weekend, with all Silver Line trains running between Wiehle-Reston East and New Carrollton every eight minutes during daytime hours. Riders traveling to or from Orange Line stations should board a Silver Line train to make their trip. Riders traveling to or from Blue/Silver stations between Largo Town Center and Benning Road should use only Blue Line trains ,Metro said. The Red, Blue, Green and Yellow lines will run on regular weekend schedules. Metro will open early at 5 a.m. Sunday, two hours early, for the for Army Ten-Miler. The closest Metro stop to the race's start is the Pentagon station (Blue/Yellow). On Columbus Day this Monday, Metrorail will be open according to normal weekday hours (5 a.m. to midnight); however, trains will run at Saturday service intervals, every six to 12 minutes during daytime hours. Off-peak fares will be in effect all day. Parking will be free at Metro parking lots and garages.